LONDON, June 17, 2011 (AFP) - Alex McLeish vowed to win over Aston Villa's supporters on Friday after being confirmed as the Premier League club's new manager following days of angry protests by fans. Villa confirmed in a statement they had appointed McLeish with immediate effect just five days after the 52-year-old Scot resigned from bitter local rivals Birmingham City, who were relegated last month. "I know that some of our fans have voiced concerns and I can understand why," McLeish said. "It will be up to me to convince you that I am the right man to drive the club forward and I intend to give absolutely everything to prove that I can be a success at the club." McLeish described the lure of Aston Villa as "irresistible." "I am honoured to have this opportunity to manage a club with such a fantastic history as Aston Villa's," he said. "The heritage, the history of success and the tradition of Aston Villa are compelling and irresistible. The challenge for me is to try to add my own chapter." 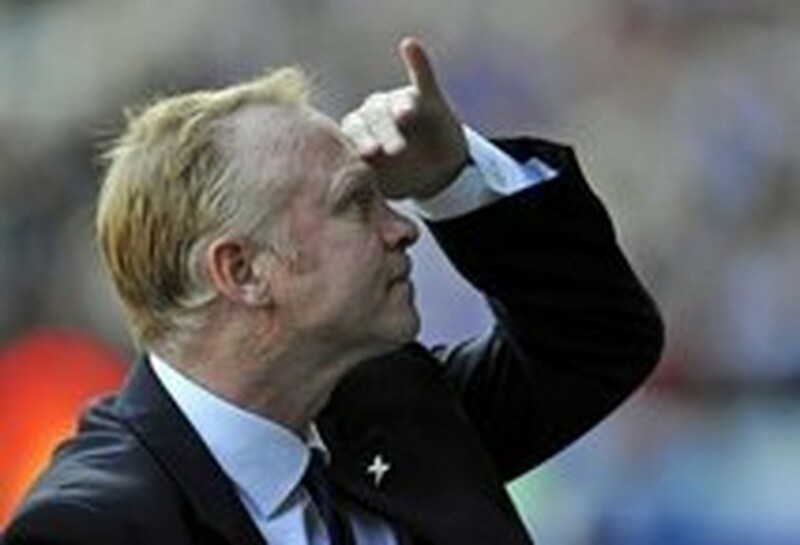 Villa have not yet confirmed the length of McLeish's contract but have said the Scot will commence duties immediately. Birmingham were angered when it became apparent McLeish was a contender for the Villa vacancy and accused their rivals of tapping up the former Rangers and Scotland boss. They also demanded £5.4million ($8.7m) in compensation to cover the remaining two years of McLeish's contract but threats to report Villa to the Premier League or take out an injunction to block the move were not carried out. McLeish becomes Villa's third full-time manager in nine months. Martin O'Neill resigned just five days before the 2010-11 campaign began and his successor Gerard Houllier stepped down at the end of the season for health reasons. McLeish entered the reckoning after a protracted hunt for a manager saw several high-profile names linked to the job before being ruled. Wigan manager Roberto Martinez turned his back on talks with Villa last week, while Mark Hughes, Steve McClaren and Rafael Benitez were all mentioned as possible successors. Villa chief executive Paul Faulkner described McLeish as the "right man for the job." "Unquestionably, Alex meets the criteria we set out at the beginning of our search which was based on proven Premier League experience, leadership, a hard-working ethic and, most importantly, a shared vision for Aston Villa," Faulkner said. "Alex is someone with whom we will work closely and work well together. "Alex's vast experience and proven abilities demonstrate clearly that he is a strong leader and an ambitious man and we are looking forward very much to the exciting new season about to start." McLeish enjoyed four years at Birmingham, winning the League Cup this year with a memorable win over Arsenal before a late slump saw them relegated. Previously he had managed Motherwell, Hibernian, Rangers and Scotland. Despite the storm of protest which has greeted his move to Villa, McLeish's mentor Sir Alex Ferguson, who managed the player during his years in charge of Aberdeen, backed him to be successful. "It doesn't matter whether there are 50 against him, 500 against him or five against him because the experience and the ability he has got, believe me, he will prove that he can do the job," the United manager said.